Most marketers are familiar with the phrase “in-text advertising,” though the concept of in skin probably doesn’t ring a bell. New Zeland hipster mecca Superette teamed up with regional advertising giant DDB Group in order to generate a provocative promotional campaign. Superette’s pushing short shorts for both men and women, so they decided to make a lasting impression on local fashionistas. To get that message across in an unconventional manner, they scattered indented plates throughout various seating areas in a busy downtown shopping district. Unsuspecting leg barers taking a load off on a park bench or sitting at a bus stop found themselves stuck with advertisements literally embedded in their skin. These temporary body modifications didn’t hurt anybody, but they certainly didn’t win any points in the tastefulness category. Though Superette claims the stunt targeted a unisex demographic that seems hard to believe. There are far more women than men walking around with exposed thighs; “branding” a woman’s leg is an obvious attempt to grab male attention. Additionally, younger, shapely women are more likely to wear revealing clothes. The ad placement reveals a deliberate attempt at exploitation. Reputable online marketers constantly strive for so-called permission based techniques, such as opt-ins and privacy protections. Internet advertisers aren’t supposed to send someone an email without his or her consent, yet Superette is allowed to turn unsuspecting women into walking billboards? According to their website, nothing’s beyond DDB Group. This statement likely reflects a willingness to embrace guerrilla marketing tactics. There’s nothing wrong with challenging conventions and breaking new ground up to a point. Still, their latest attempt to grab the headlines crossed the line. The old adage that there’s no such thing as bad press doesn’t apply in this instance. Implementing the idea probably cost a lot of money, and most of the impressions were more or less illegible. In other words, this stunt wasn’t really about getting a message across. It was the marketing equivalent of shock rock: juvenile, boring, and forgettable . Is Advertising a Substitute for Originality? Marketing experts G. Michael Maddox and Raphael Louis Viton pose a radical theory in a recent Bloomberg Businessweek article. They contend that advertising budgets are nothing more than symbolic taxes that companies must pay to compensate for a lack of creativity. This scathing analysis reaches a hyperbolic conclusion, yet their rationale deserves further exploration. The crux of their argument lies within the advent of social media as a means of interpersonal communication. Research demonstrates that people are more likely to purchase a product or service based on a friend’s recommendation as opposed to a company sponsored advertisement. After all, friends have nothing to gain by telling each other about useful items, cool gadgets, or tasty snacks. If anything, they stand to lose credibility should their suggestions prove ill advised. Social forces dictate sharing worthwhile tidbits because advice makes or breaks an individual’s reputation. Advertisers, on the other hand, aren’t interested in preserving their good names. Brand loyalty isn’t always their top priority and some products are intended to be fly by night gimmicks. Besides, no one holds marketing executives accountable for promoting inferior products. In many cases, the free market does not determine their success or failure because they aren’t pushing their own inventory to begin with. Basically, social networks give consumers the option of truly considering the source of an endorsement. Maddox and Viton believe that companies with large advertising budgets should reevaluate their business strategies. They cite the infamous Super Bowl ads as a perfect example of ultimately wasteful spending. These primetime TV spots cost literally millions, yet the return on that substantial investment is minimal at best. Lots of companies don’t even bother trying to sell new stuff on game day; they simply toss the same old pieces into a funny package and hope that the punch line sticks. Maddox and Viton correctly point out that the money spent on ads could be diverted into research and development of novel ideas. Nevertheless, their sweeping generalizations have limited applicability outside of Madison Avenue. Big corporations needn’t depend on aggressive marketing to get the word out, but small businesses get lost in the shuffle without a competitive adspend. Local mom and pops rely on word of mouth to a certain extent to stay afloat. Still, it’s never wise to depend on chatty customers alone. Visibility is a chief concern for independent entrepreneurs, which justifies supporting a steady string of advertising campaigns. Companies interested in expanding their consumer bases should take Maddox and Viton’s advice in stride. Innovation means next to nothing without brand recognition. Video ads are almost as common as banners these days. Almost all of the professional videos on Youtube.com start off with an advertisement, though the promotions are rarely related to the content provided. This reflects the challenge of targeting within music that may appeal to a diverse consumer base. Nevertheless, video marketing is quickly turning into a dominant platform. Its rise in popularity merits further examination into the utility of this phenomenon. FreeWheel’s Video Monetization study delves into the matter and uncovers some surprising insights. Advertisers have several options at their disposal when it comes to placement. 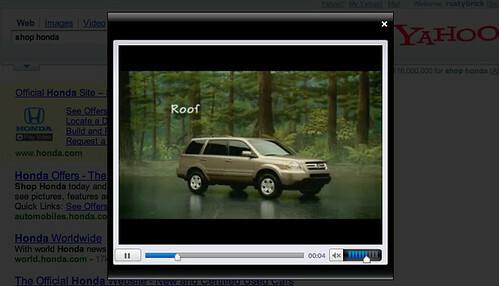 For instance, pre-rolls start at the very beginning of a video whereas mid-rolls appear halfway through. Pre-rolls currently dominate the scene. Many simply assume that pre-rolls are better from the viewer’s perspective because they don’t disrupt the desired content’s flow. Additionally, pre-rolls complement short form content, defined as five minutes in length or less, due to time constraints. These pre-rolls tend to last for either 15 or 30 seconds. Given the prevalence of the 2-3 minute video duration, it would seem as though 15 second ads would yield higher completion rates. FreeWheel’s findings demonstrate the exact opposite. In short form content, 30 second spots perform better in terms of completion. When it comes to long form content, which spans at least 20 minutes, mid-rolls deliver optimum results. According to FreeWheel, long form videos with interstitial mid-rolls generate the strongest achievements. However, this information may be a bit misleading and easily lends itself to misinterpretation. Overzealous executives should not start making 20 minute presentations when the usual 3 minutes will suffice. Expansive intervals usually indicate some form of entertainment, such as a television show or live music broadcast. While the data indicates that consumers are getting used to the idea of exchanging brief ads for free viewing, that doesn’t necessarily mean they’ll embrace a 30 minute product demo. As for the ad’s content, consumers obviously respond to behavior based targeting. They’re also accepting and even enthusiastic about things that make them laugh. Humor is subjective, and can be hard to pull off. Creativity enhances audience appreciation, but being informative compensates for what’s lacking in other areas. Nearly every company navigates the complex world of search engine marketing, some more successfully than others. Hard fought keyword battles wage by the minute, and have the potential to make or break a business. Even the largest retail chains must contend with thousands of other companies to dominate organic search listings. SEO specialists for hire understand the intricacies of Google’s complex algorithm, but their employers should be mindful of so-called black hat tactics. These underground techniques don’t violate any laws; however, attempting to game the system is considered very bad protocol. Google often punishes offenders by black listing their websites for extended periods of time. While it’s possible to recover from this kind of setback, it certainly doesn’t enhance a site’s reputation. Just ask JC Penney. The retail giant known for its wholesome Americana image now serves as an example of optimization gone terribly wrong. They’ve been accused of buying thousands of links in an effort to reach the coveted top page rank for terms such as “black dress” and “area rugs.” Link exchanges between reputable websites demonstrate credibility as well as popularity. This is especially true when the two share a common theme or belong to the same commercial industry. Google’s calculations always evaluate link sources, and assume that insiders generally recommend products and services of a high caliber. In essence, Google prefers quality to quantity. At the same time, having a ton of links spread across a wide variety of sources definitely boosts a site’s authority. For this reason, scammers often attempt to distribute links anywhere and everywhere. JC Penney’s links appear on many relevant spaces, but they’re also turning up in some unlikely places. For instance, their “evening dresses” don’t have a whole lot to do with casinofocus.com. This along with a host of similar oddities raised a red flag with the folks in Mountain View. The top page ranks have since been banished to dark recesses of Google’s directory. JC Penney disavows any knowledge of its SEO company’s search scheme, though tech experts find this hard to believe. Their case demonstrates the virtues of playing by the rules. Black hat tricks produce short term results. Anyone interested in the long haul should avoid them like the plague. Almost every company has a Facebook page, along with a Twitter account, and both are utilized primarily for advertising purposes. In fact, many are directing customers to their Facebook pages instead of their websites. The logic behind that is fairly clear. While web traffic is useful, it’s not going to do much in terms of concrete involvement. Gaining fans on Facebook, along with collecting coveted “likes,” appears to be the goal of the moment. There’s nothing wrong with this model, in theory; however, in practice it leaves a lot to be desired. Businesses need to reexamine the goals behind their social media strategies. The best place to start is to view things from the customer’s perspective. Consumers decide to become “fans” or “followers” of particular brands for a reason. Naturally, they are attracted to the product for whatever reason. The source of initial connection doesn’t matter as much as what it produces. People turn to social networking because they are interested in constant interaction, and your brand needs to adapt to their preferences. Chances are they aren’t very interested in seeing additional display ads on Facebook. The display driven model reaches tons of eyeballs, but they border on marketing overkill. Instead of focusing on exposure, concentrate on quality communication. In other words, give people a reason to visit your profile more than once. Special deals can be effective tools, though they’re a poor substitute for genuine engagement. For example, lots of customers prefer to handle customer service issues via Twitter and Facebook. This saves them the trouble of having to call your company, locate the right person, and deal with being placed on hold 15 times in the process. They turn to social networks to avoid the hassle, so make sure that your representatives are prepared to handle these types of issues in a timely fashion. Response windows are fairly short; if you’re not able to resolve the problem immediately, at least let the client know that they have your attention. Few things look worse on company profiles than unanswered consumer questions or grievances. Neglecting positive feedback is another common mistake. Anyone that puts worth the effort to complement your products and services deserves recognition. Express your gratitude in a natural way and perhaps offer to send them promotional materials. This sends a message to the particular individual as well as everyone else that you appreciate loyal patrons. Almost everyone is aware of the fact that Arianna Huffington sold her online newspaper to corporate giant AOL for a substantial sum (somewhere around $315 million). She’ll be taking over as AOL’s chief editor, and no one’s quite certain as to what will happen to the aggregate news site. The Huffington Post started in 2004 and has since grown a loyal following. Due to Huffington’s reputation as a commentator as well as her propensity for hiring liberal writers, the site’s become synonymous with left wing politics in the minds of many. AOL’s acquisition is reportedly motivated by heavy traffic, admirable retention rates, and solid advertising revenues. The company is hoping to focus primarily on the marketing opportunities within a thriving digital community. Yet, many Madison Avenue executives are expressing concerns over the implications of the acquisition in terms of AOL’s brand. This situation raises interesting questions concerning the intricacies of long term branding efforts. Buying or partnering with an established company always carries risks related to status. Consumers don’t always associate a distinct name with another associated company, even with lots of publicity surrounding collaboration. The same can’t be said for advertisers, though. Industry professionals tend to steer clear of controversial content, especially of the political persuasion. While politics only accounts for roughly 15% of the Huffington Post’s content/traffic, the site’s best known for dirty muck racking. It doesn’t really matter whether or not this characterization is valid or not. Advertisers may not want to risk offending potential customers or they could have personal objections to the site’s ideological inclinations. Either way, AOL’s lucrative plans would go belly up. AOL’s never been known for generating fiery political rhetoric; in fact, the once dominant ISP doesn’t have much of a public persona anymore. It’s possible that the company hopes to revitalize itself via Huffington and her media-savvy. After all, the Huffington Post is also notorious for delivering an exciting, highly interactive format to its readers. The blogging based interface facilitates real time discussion in a natural way that keeps visitors coming back for more. From this standpoint, the Post is an advertiser’s dream come true. Still, there’s another side to this issue that’s worth exploring. Madison Avenue may very well embrace the Post, but will its user base tolerate a corporate merger? Browse the site for a few minutes and the level of discontent becomes abundantly clear. There are accusations of censorship, staffing incompetence, and serious credibility problems. Virtual communities often resist change despite their devotion to a dynamic medium. Perhaps the commentators ought to contemplate the situation from a different angle. It’s entirely possible that AOL’s brand will tarnish the Post’s standing as a voice of the American left. Mozilla FireFox is known for being a step ahead of its competition in the seemingly endless browser wars. They’ve been the dominant browser since 2009 when they finally beat out the default choice, Microsoft Internet Explorer. FireFox made huge gains with consumers because it focused on safety and security without compromising speed. Today they launched yet another feature before the folks at Microsoft got a chance to deliver a similar service that they’ve been hyping since December of 2010. The latest incarnation, FireFox 4, offers an alternative, yet still browser based solution to the tracking cooking issue. Consumers have become concerned over commonplace behavioral targeting methods that advertisers use to boost sales. Not all marketing programs work the same way, but most retargeting campaigns implant tracking pixels as a way of luring consumers back to advertisers’ websites or to promote a specific product the customer expressed an interest in. Privacy advocates further question advertisers collecting data on internet users, including their locations, demographic information, and search habits. These actions are especially disconcerting when sensitive facts are sold to 3rd parties for unknown reasons. The public outcry has been loud enough to get the FTC involved; the federal organization is contemplating appropriate courses of action. Regulators have already proposed a national do not track list, and suggested that perhaps the mechanism should be accessible via the user’s browser. FireFox 4 provides a setting option that sends out a broadcast signal to websites telling them that the user does not want to be tracked in any way. The company claims its concept is superior to that of Microsoft because the IE version is rather tedious. Instead of forcing consumers to cherry pick which sites they’re comfortable with, FireFox offers a universal opt-out. Of course, advertisers and publishers don’t have to honor the request; they might not even be able to translate the signal. The FTC would still have to step in to enforce the request, which would be quite difficult given the circumstances. Microsoft’s remedy is much friendlier from a business standpoint and would make it easier to identify violators. Lawmakers will be deliberating the ramifications of their plans until February 17th. Since their decision will undoubtedly have a tremendous impact on the future of the online marketing industry, expect further updates as the situation unfolds. Basically every state in the union has different rules when it comes to state elections. Things get even more complicated when municipal contests are thrown into the mix. In the battle for public office, perhaps no group of candidates are faced with as many hurdles as those in the judicial realm. Some states don’t have judicial elections at all; their judges are either appointed by the governor, state legislature, or a combination of both. Yet the states that select judges democratically usually don’t allow much campaigning. They may have strict rules regulating the judges’ speech, such as prohibiting them from criticizing their opponents’ rulings. Others don’t ban the practice by statute, but it’s still considered a major taboo in the legal profession to utilize typical campaign rhetoric. Judges in these areas feel tremendous social pressure to stay silent. Speech isn’t the only thing that’s being constrained in certain judicial elections. A few states require the judges to rely on public funds as a way of leveling the playing field and discouraging fund raising. The theory behind this logic is that campaign contributions might come along with expectations in terms of future legal action. This could potentially foster corruption in the justice system, and no one wants that. But these restrictions really put judicial candidates in a bind. They want to get elected, yet they lack the means to adequately promote themselves. Some resourceful Wisconsin state Supreme Court candidates discovered a cost-effective platform that lets them connect directly with voters: social networking. The prospective arbiters find that Facebook and Twitter help them reach the younger demographic, which is always an important constituency. Those ages 35 and under are likely to ignore television based advertising and some in this category don’t watch TV in a traditional way at all. The same can be said for the radio, which is an irrelevant medium to many. The candidates also enjoy getting instant feedback on their public appearances from a source other than pundits and journalists. Of course, the only people viewing the content on Twitter and Facebook are already interested in the election. This means the candidates are reaching a niche group as opposed to a random, potentially disinterested audience. Commentators are dismissing this emerging trend by pointing out that Facebook comments or retweets don’t automatically translate into votes. Here’s hoping the people of Wisconsin prove them wrong!